MOT Test Lanes, Albies Taxis, Gt Yarmouth, Norfolk. HGV ATF Testing Lane, Hamiltons Engineering, Stranraer. HGV ATF and MOT Testing Lanes, Rowleys Autos, Coventry. Motorcycle MOT Testing, Giddings Motorcycles, Lenwade, Norfolk. MOT Lane & Coach Testing, South Mimms Travel, Welwyn Gdn City. 2 x MOT Testing Lanes Classes 1, 2, 4, Stuart Wright Transport, Wymondham. MOT Testing Lane Classes 1, 2, 3, 4, 5, 7 and Coaches, Swift Taxis, Gt Yarmouth. HGV ATF and MOT Testing Lanes, Truck & Plant, Beccles, Suffolk. Class 4 & 7 MOT Bay with Inspection Pit, Trunch Garage, Trunch, Norfolk. The origins of Cascos in the world of lifts date back to the 1960s. 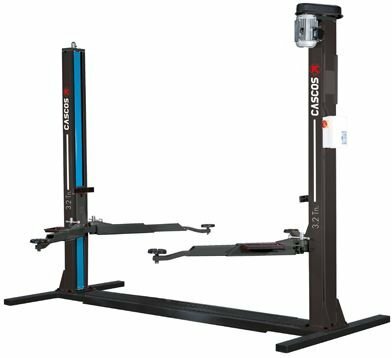 In 1982 Cascos Maquinaria S.A. was founded, a leader in the Spanish market devoted to the design, manufacture and marketing of vehicle lifts. 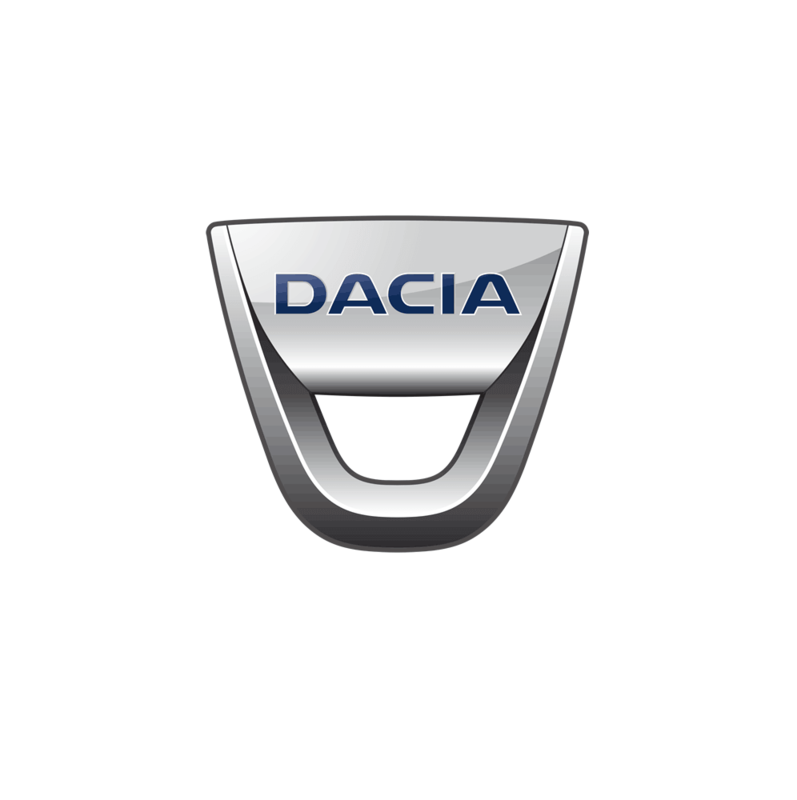 The factory is located in Vitoria (Basque Country), in the North of Spain, close to the border with France. 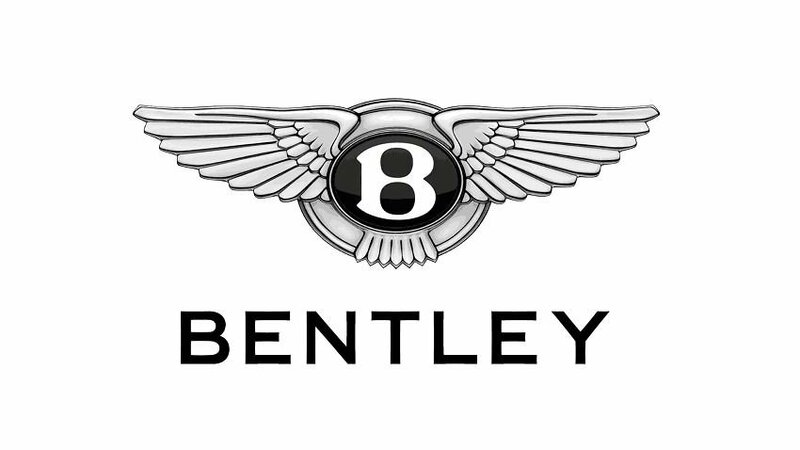 It is an area with a significant industrial sector, which has led to multinationals from all over the world, such as Mercedes Benz, Michelin, etc., establishing themselves there due the high level of professionalism and quality. In R&D, the experience accumulated during this time has made it possible for Cascos to collaborate with some of Europe's top automobile brands. 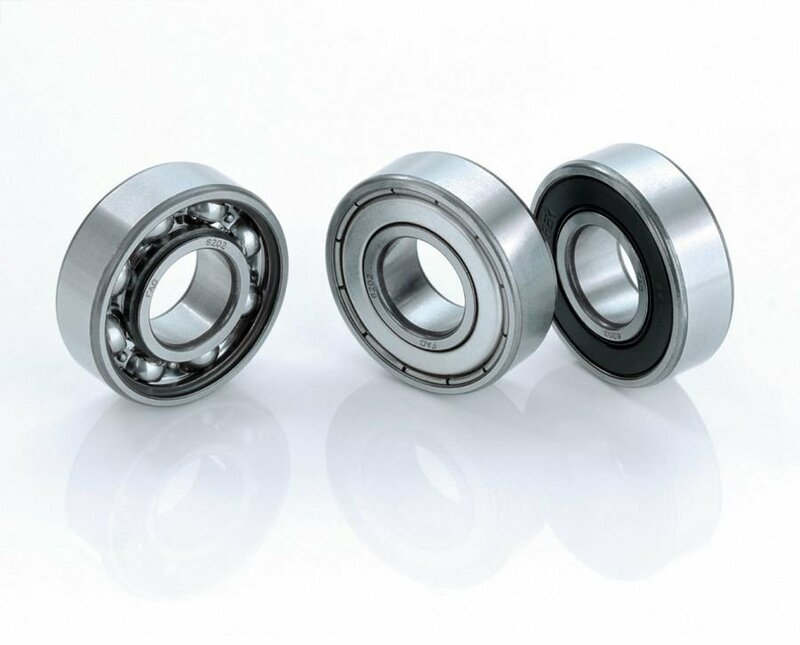 Through this collaboration Cascos have achieved maximum innovations possible in the sector in our lifts. 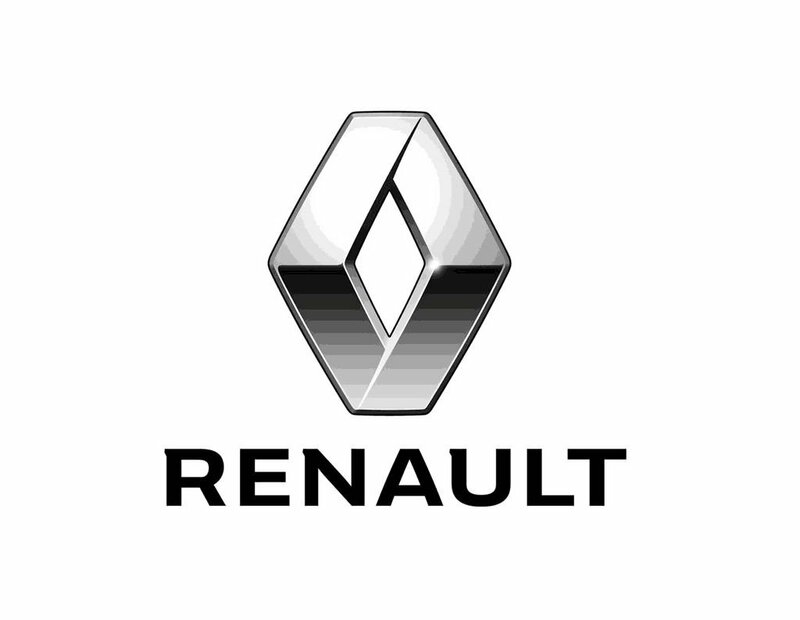 An example of this is their trusted partnership with the top manufacturers at European level such as the Renault Group, the PSA Group (Peugeot-Citroen), Mercedes Benz, VW-Audi, Nissan, brands that have approved them as their preferred suppliers or often ask us to join them in R&D projects. 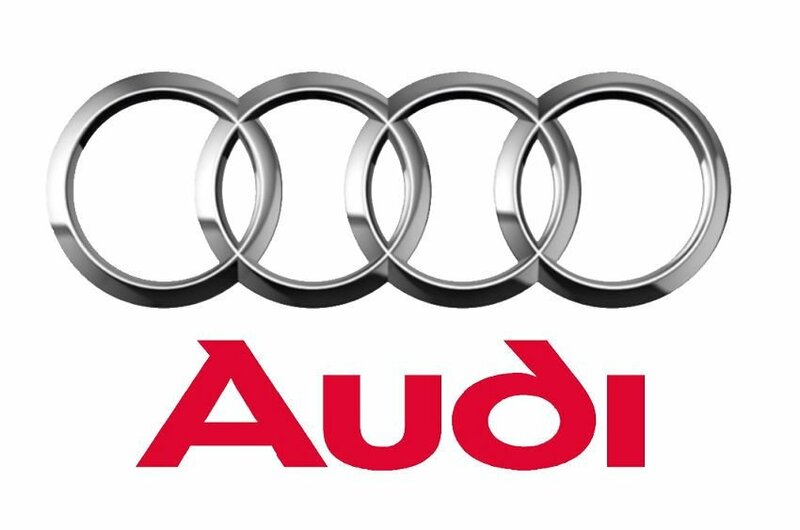 Similarly, we collaborate with leading companies in automobile maintenance and revision, such as Midas, Feu-Vert and Speedy. We have even opened lines of supply with the United Nations and the armed forces of various countries. 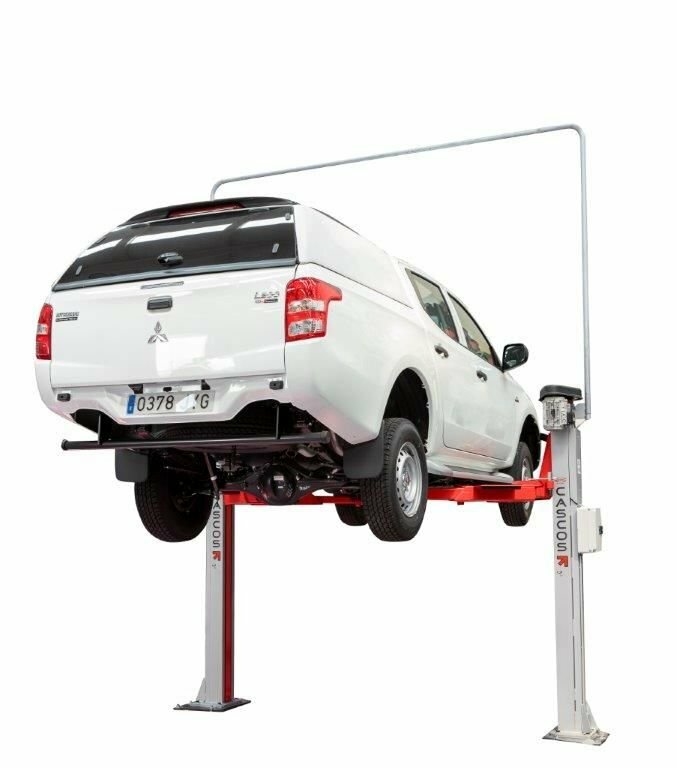 The Cascos model C4XL SYNCRO, two post vehicle lift is built to the same exacting standards of quality and reliability of the C4 Syncro model, but this model has the added benefit of an extra-wide 3000mm space between the posts. 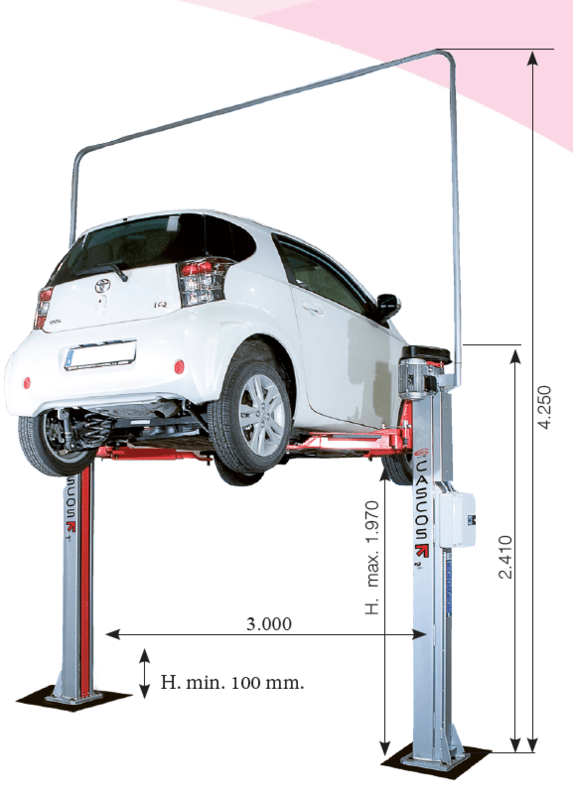 Ideal lift for lifting small cars, 4 x 4, armoured cars and vans. Currently on Special Offer, go wider for the same price!!! Versatility for mechanical and body work. Baseless, so the workspace is completely free of obstacles. Symmetrical so the lift can pick up vehicles in both directions. Synchronous lift with an independent motor on each post. Equipped with an automatic leveling system between posts. Electronic synchronization by PLC and detectors, this system is not subject to wear and tear, nor to an obligatory positioning of the load. The PLC is programmable and less sensitive to voltage changes and short circuits. It also allows easy detection of the status of its operation through LEDs. 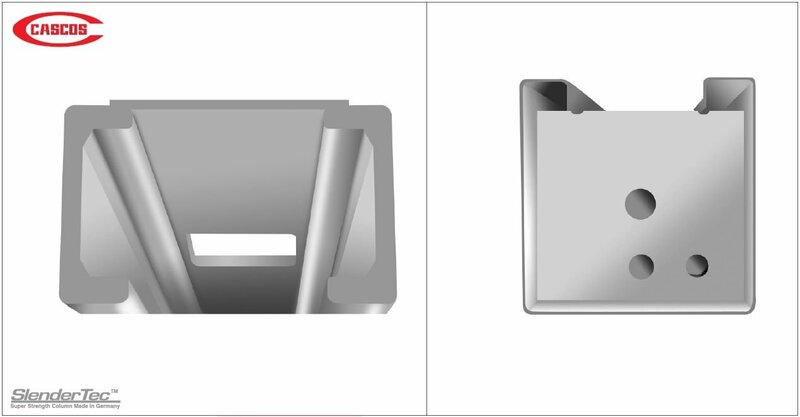 Underground version available - No overhead tube for electronic cables, instead they are recessed into the floor. Accessories: wide variety of accessories intended for greater comfort of use and the handling of specialised vehicles if required. Fully baseless with overhead tube for signal cables. new colour combination as shown below, Blue and Graphite Grey. "Special Offer Price" of £ 4,815.00 + vat. **Delivered & installed to your premises. 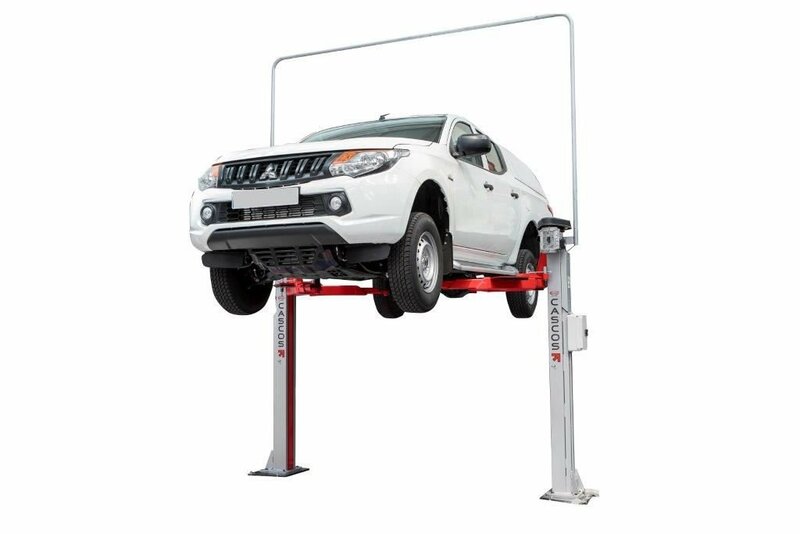 "Limited Availability, so Order yours Now"
Various othe models in the range up to 5500kgs lifting capacity. 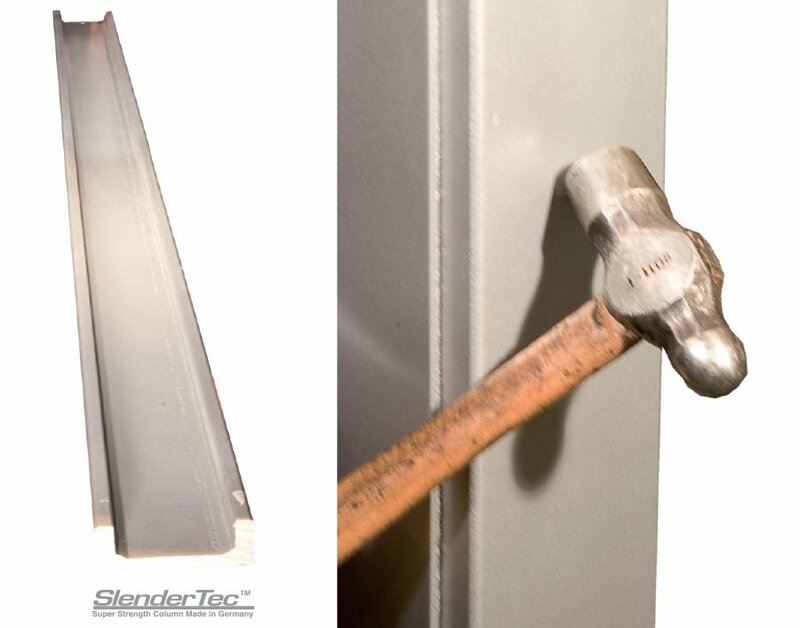 The "Slendertec" column (posts) are made from rolled solid steel profiles and not the folded sheets of steel like our competitors. 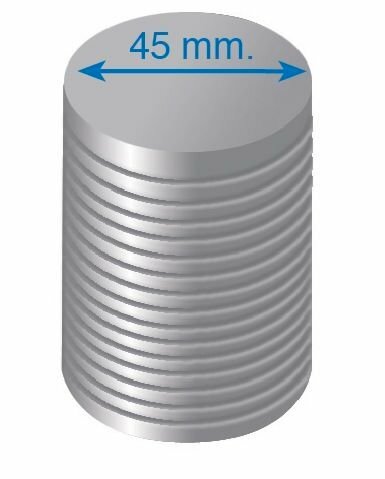 Not only do they give 60% more strength they allow the posts to be much slimmer giving a maximum width between the posts of 3000mm. A larger width between the upright posts enables the car doors to open wider. Those strong "Slendertec" posts enable cars to be placed on the lift in either direction? (Most two post lifts have short lifting arms to the front and long lifting arms to the rear to enable easier access to open the car door. When built this way the lift will have different weight limits depending on the cars position) Not a problem with the Cascos you can drive on or reverse on, still have enough room to open the doors and it doesn't matter which direction the vehicle is facing and it will always lift 4.0 tonnes. 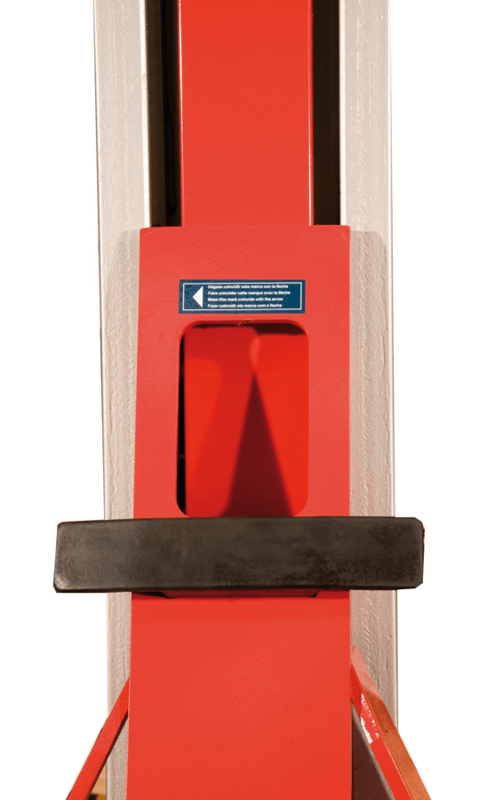 Unlike almost every other brand of lift on the market, you are forced to purhase additional lifting pads for vehicles requiring additional reach. 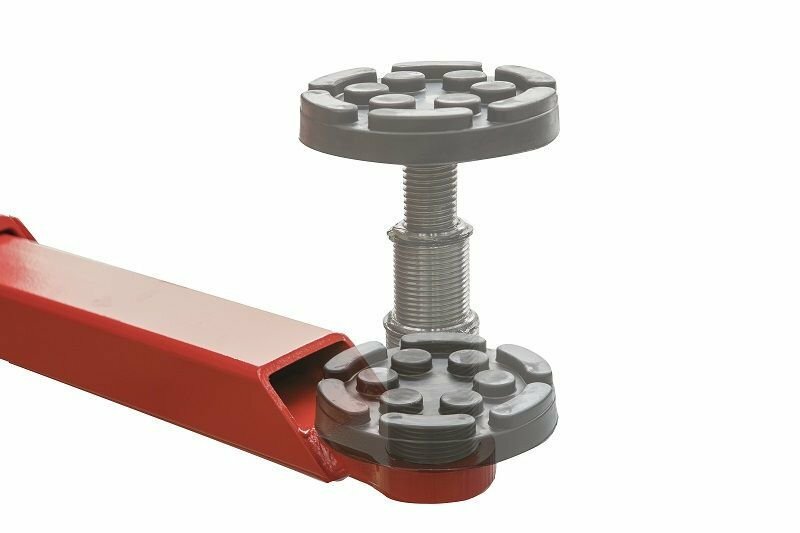 The C4XL Syncro comes as standard with a unique "Double Height System" a telescopic screw within a screw allows you to double-up on the amount of adjustable travel. 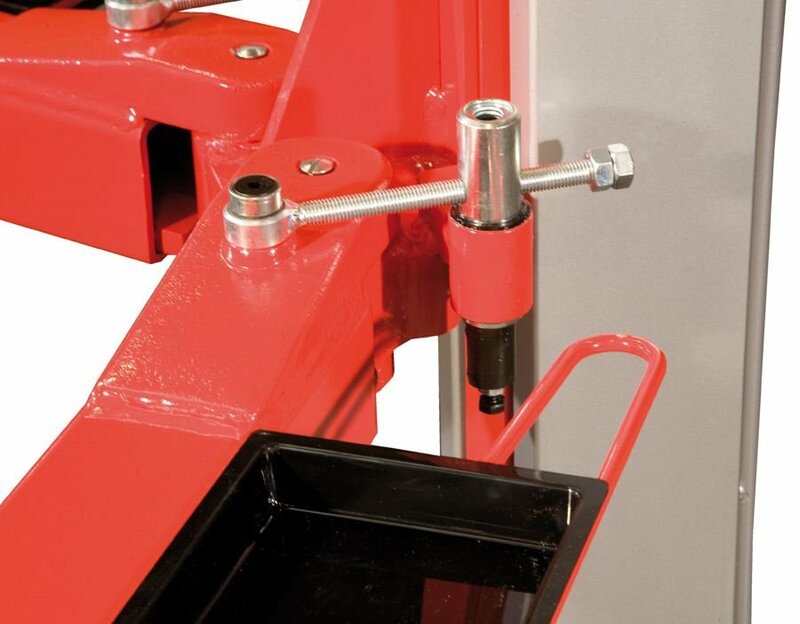 Comes complete with two tool trays for wheel nuts, bolts etc. Comes complete with rubber buffer, door protectors. 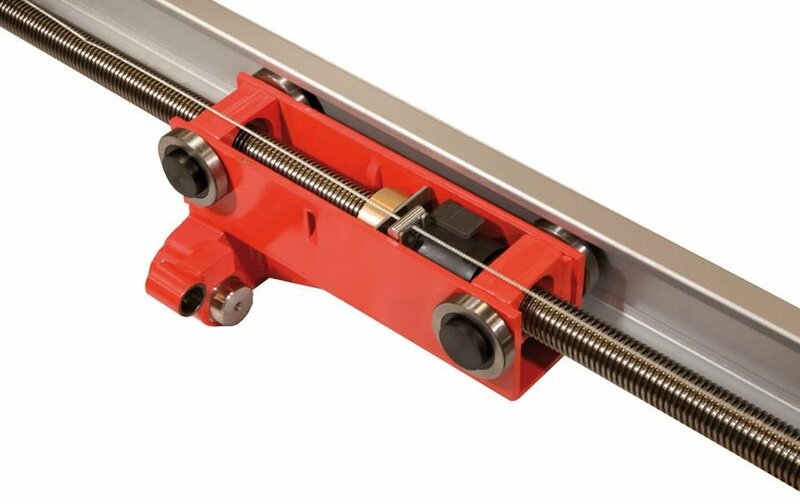 Arm safety locks using spindle rod, give lifting arms more positioning posibilities under the car and enabling faster loading times. 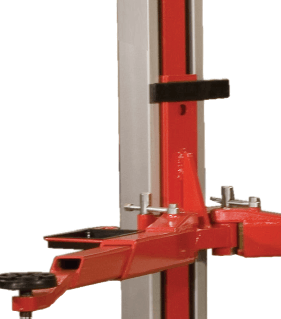 The columns/post are fitted with spindle protection covers ensuring the operator never gets dirty when touching a post. Built using only the highest quality materials.